Happy Monday! I’m back with a little fall-inspired beauty. Fall is here.. In fact, I think it’s here to stay in NC. It’s time to pull out my darker lipsticks and lip glosses. Now, I’m not usually a fan of dark lipsticks. I love them on other people, but I gravitate towards natural or ‘your lips but better’ shades. However, as of late, I’ve been craving darker lipsticks. I’ve pulled a few darker shades out of my lipstick stash. Here are some of my current faves! Bite Beauty is one of my favorite lipstick brands. Their products are food grade, which I love. I have a few colors. I purchased Zen during the summer of this year and decided it was too dark for summer. It’s definitely more of a fall shade. 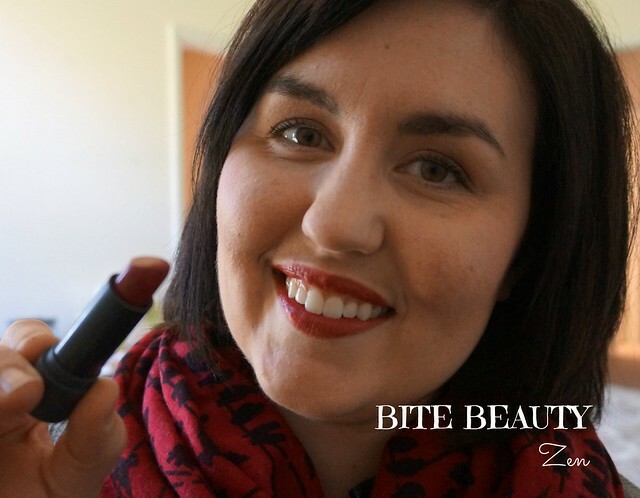 If you’ve never used Bite Beauty lipstick before, definitely check them out! The formula is so creamy and soft, but they last quite a while on your lips. This is another one of my favorite high end lipstick brands. 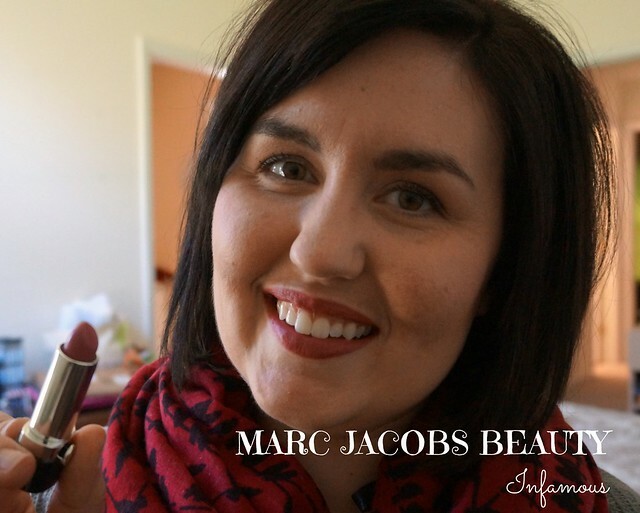 I tried the Marc Jacobs lipsticks on a whim this summer, when I bought Cora Cora. I love the pigmentation, lasting powder, and creaminess of these lipsticks. I ordered Infamous for the fall, and it’s perfect for everyday. It’s that fall color that will go with everything. I will definitely be getting some more colors from this line! From the drugstore, Revlon is consistently a brand that impresses me. Their entire product line is high quality and affordable. They came out with these ‘lip-crayon-esque’ products in a glossy formula and a matte formula. This color in the matte formula is called Romantic, and I absolutely love it. It’s red without being too red. 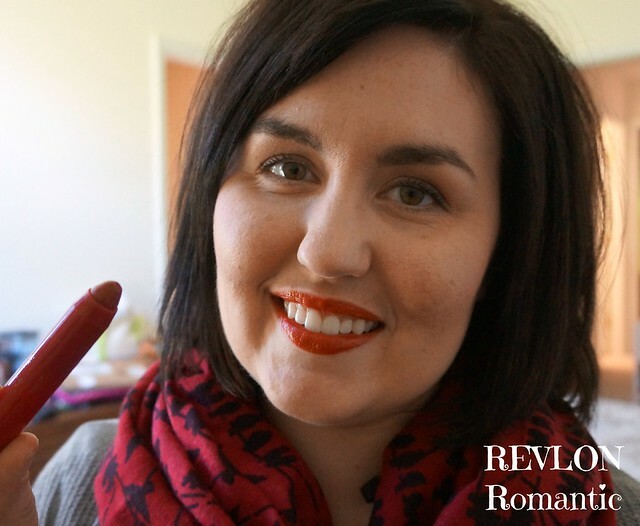 If you’re nervous about wearing red lipstick, I would give this one a try. The matte texture stays for hours on your lips, so there’s no worry of smearing. This was sent to me by E.L.F., but you already know I’m a huge fan of the brand. E.L.F. has found a way to offer super affordable, quality cosmetics at the drugstore. The main appeal of the brand is that you don’t have to shell out lots of money to try different products. I am not ashamed to admit that my Target basket has been overflowing with E.L.F. products a time or five… This matte lip color is SO pretty. I absolutely love this color. And the color is called Wine? Yes, please! I’ve had a few shades of this Pro-Last Lip Color in my lip product drawer, but I hadn’t started using them until recently. To be honest, I was nervous about the colors not looking good …and it’s a lip stain. So, if I didn’t like the color I would be stuck with the color all day. But, this Mesmerized Merlot was calling my name, so I gave it a whirl a couple weeks ago. It is so pretty, and the formula is comfortable on my lips. 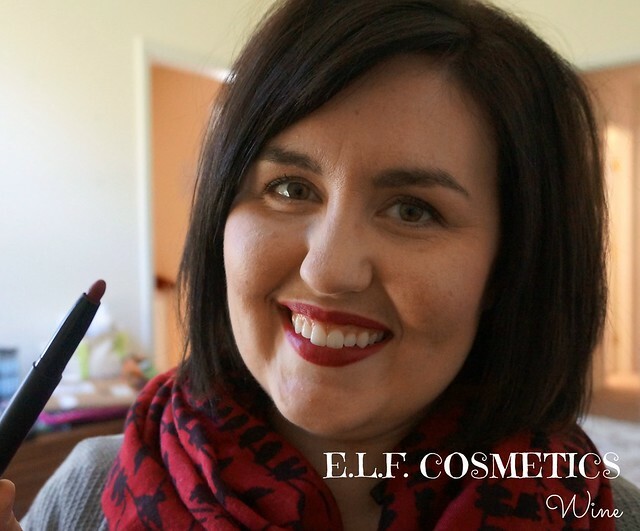 I’ve tried some lip stains that are seriously drying, and this lip stain is not like that. One end is a glossy chapstick product that you apply after the stain has dried. 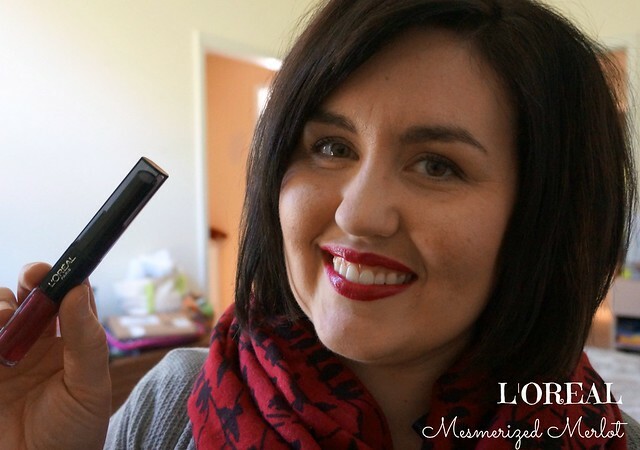 This lip stain will last for a very long time! Now, tell me what you’ve been wearing this fall so far!